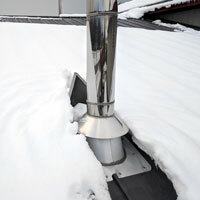 Destroy the snow not your chimney! The ultimate engineered solution for ribbed metal roofing. 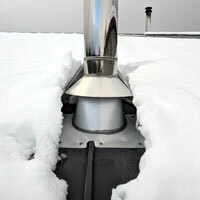 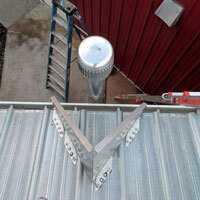 This stainless steel heavy duty snow divider protects your chimney from becoming damaged by sliding snow. 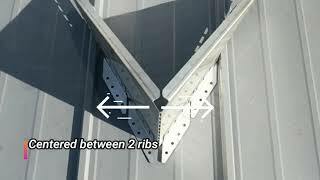 Other snow dividers are not designed to install around the raised ribs that nearly all metal roofs have. 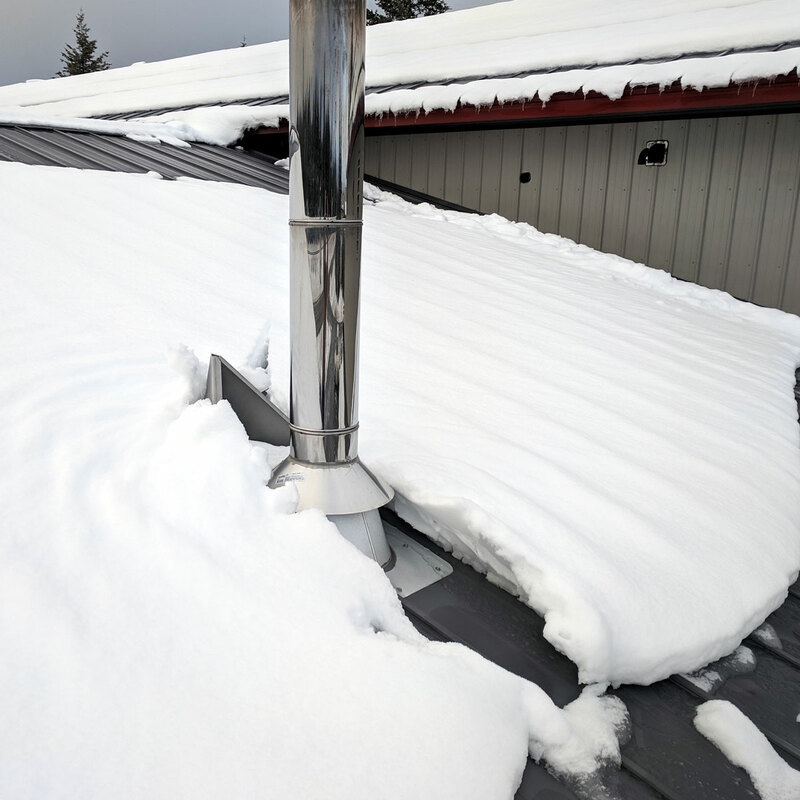 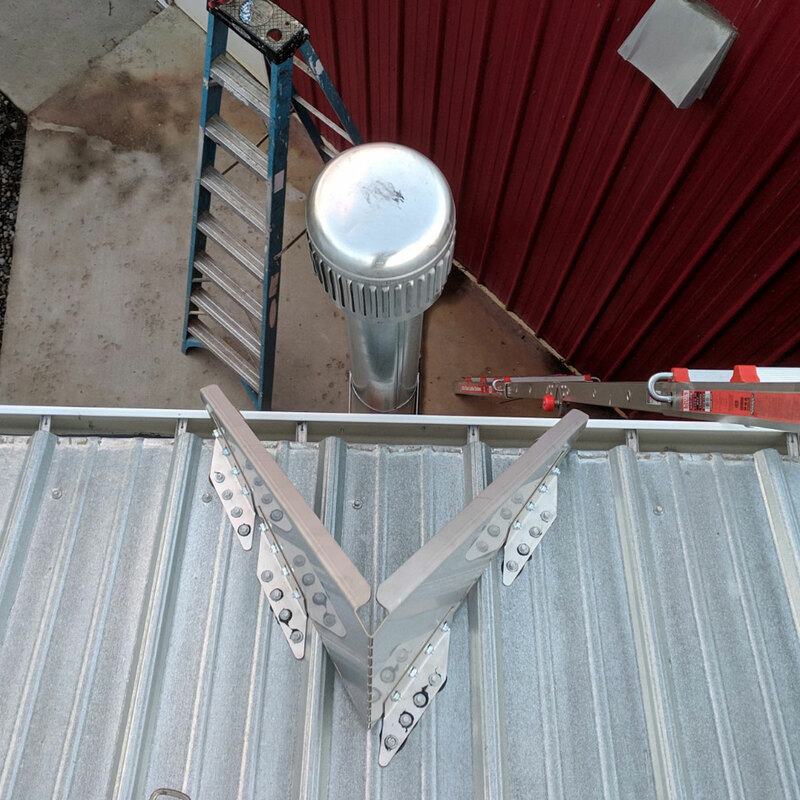 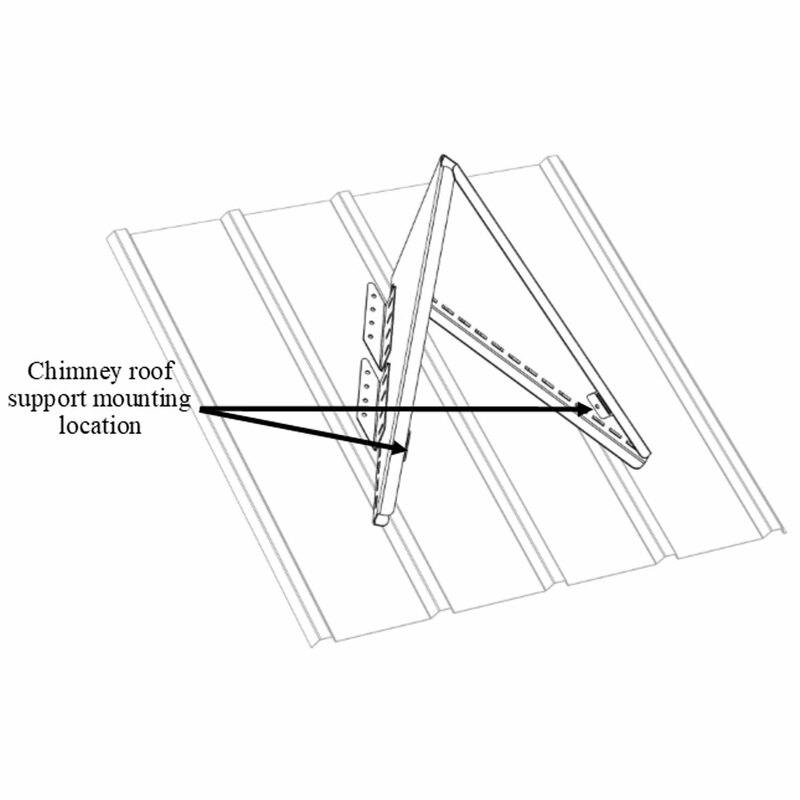 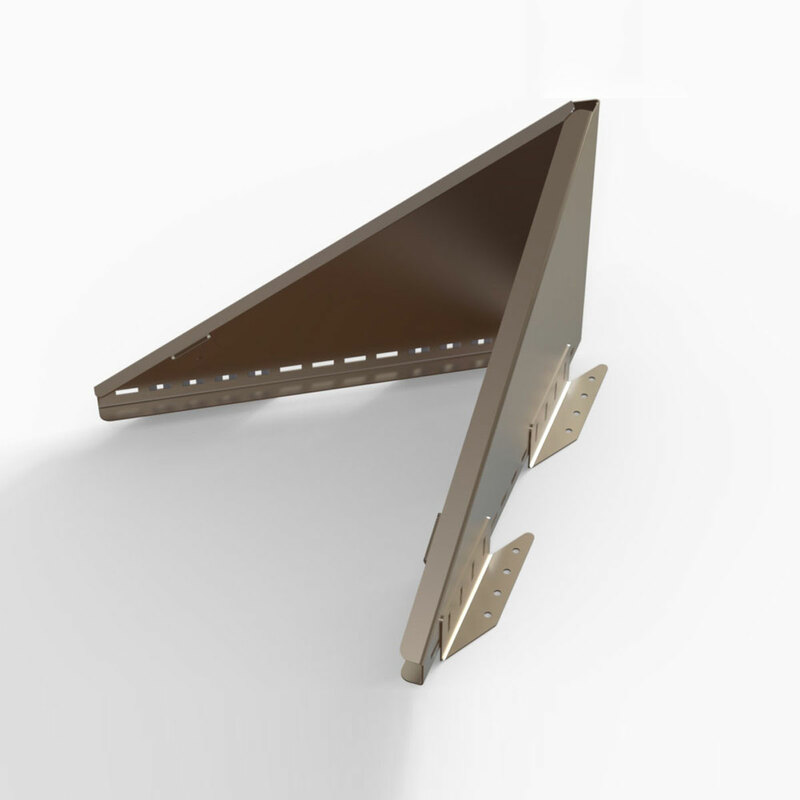 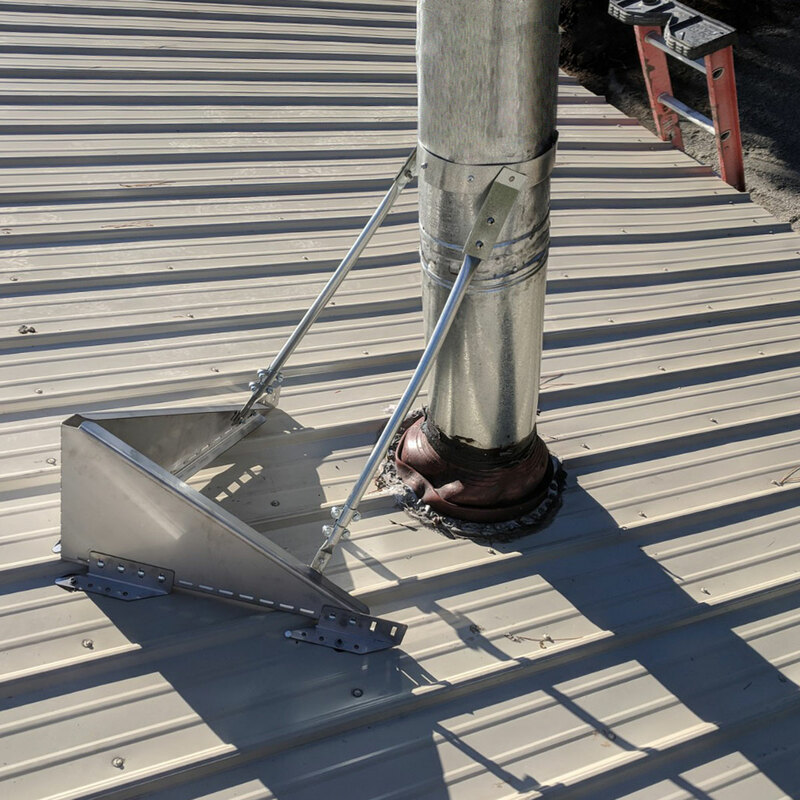 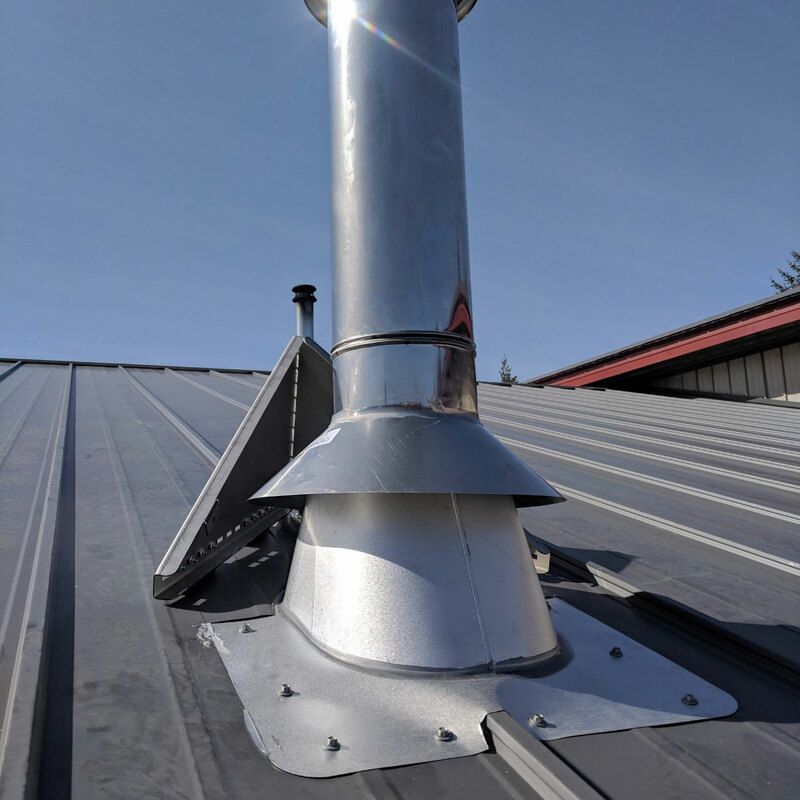 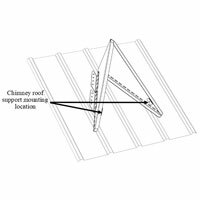 The Universal Snow Divider from Kuma is designed to be installed perfectly centered above your chimney regardless of the chimneys location or the location of the ribbing on the metal roof. 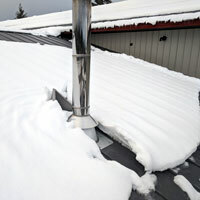 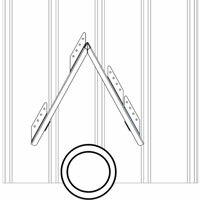 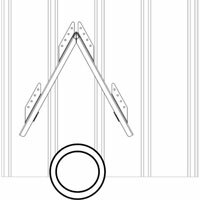 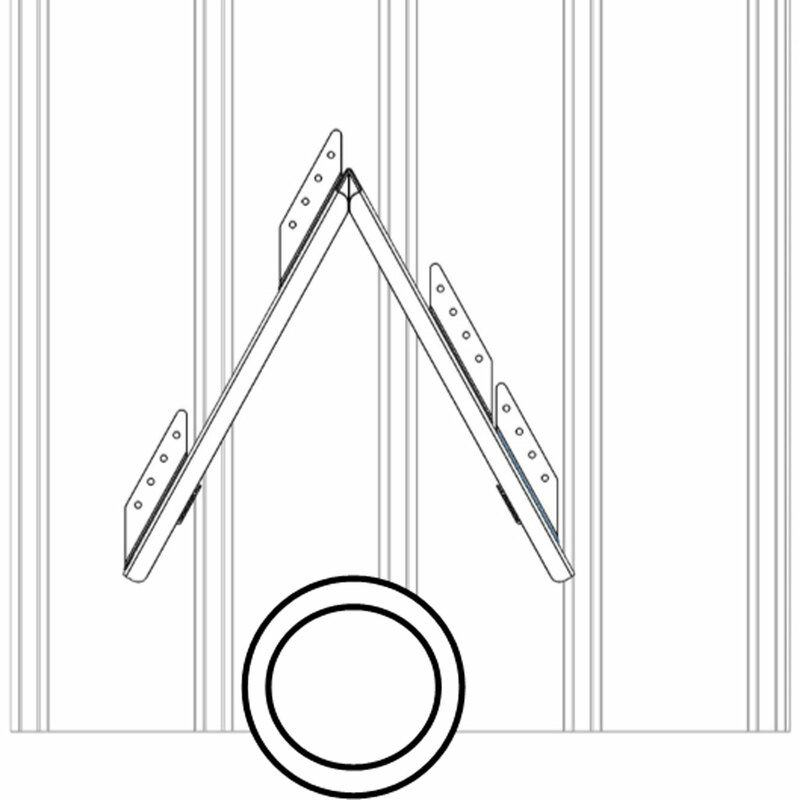 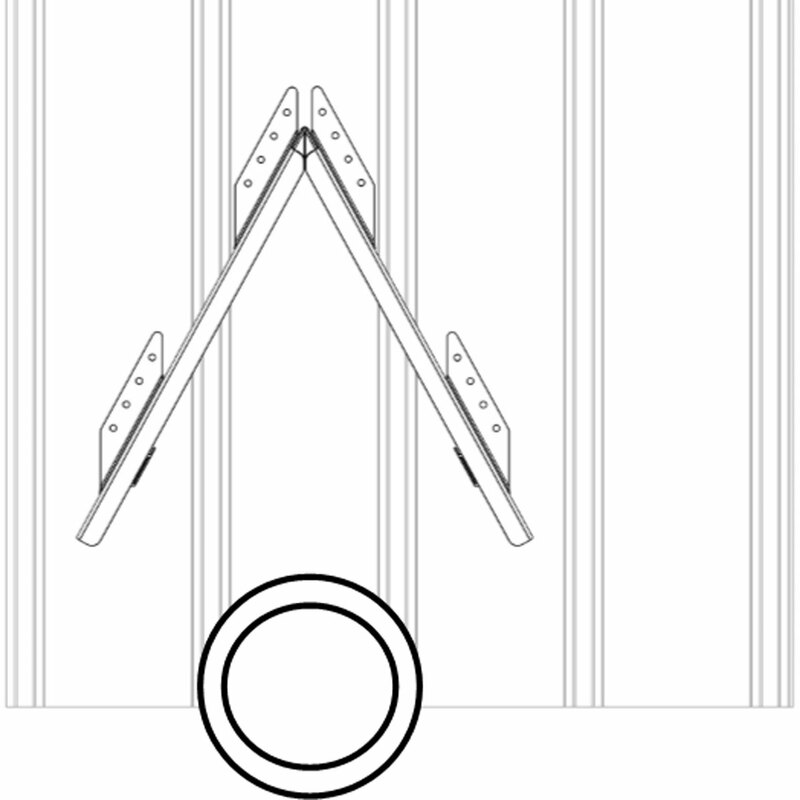 Most other snow dividers should come with a hacksaw or a torch because that is what you will be using to try and get it to fit securely above your chimney and if you invest in a flimsy divider you might want to purchase a second chimney to replace the one that gets pulled down by the snow! Although usually not needed, the universal snow divider also installs on a composition or shingled roof. Not designed for corrugated (wavy) metal roofs. 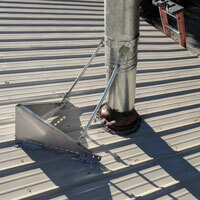 Designed to protect any vent with a 4" to 10" outside diameter. 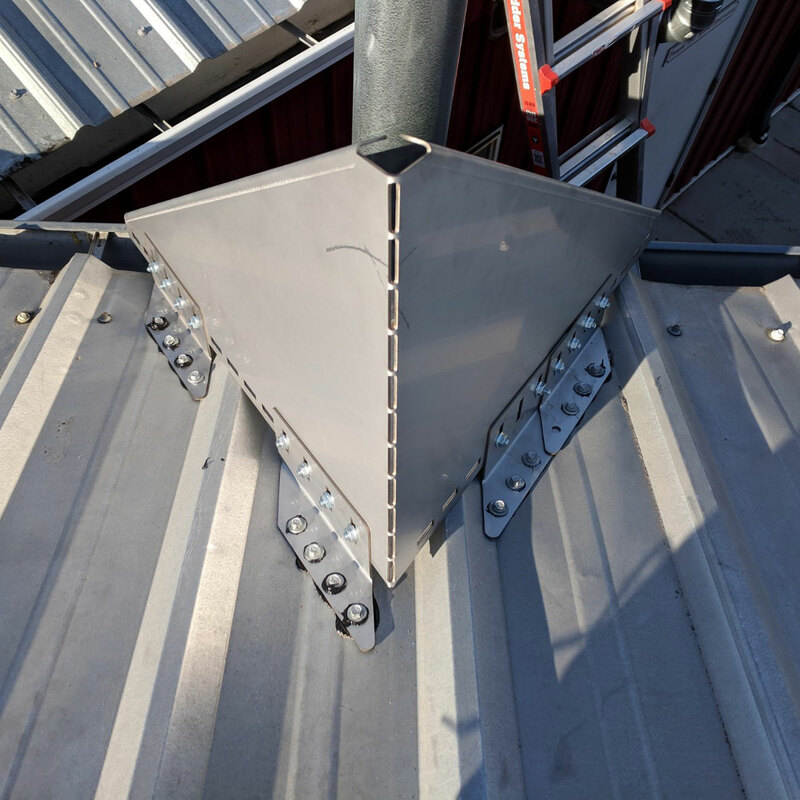 Engineered for a universal fit on most all types of metal roofs.